Found a wonderful real life example of the tragedy of commons I want to share. I visited a relative who lives in an apartment complex in the southern outskirts of Chennai. His complex is subject to two hours of power cut between 4PM and 6PM everyday – as bad as that is, he was happy that just 5Km further south of him the city limits ended and power cuts were up to 6-8 hrs a day. The bigger problem with the apartment residents was the voltage. The fluctuations were really bad from the time the power came back on at 6PM to about 11PM. 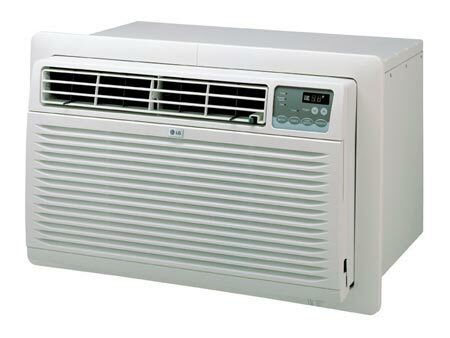 This was traced to the use of air conditioners. To overcome the voltage hurdle some of them had installed “double boosters” – two back to back step-up transformers. This caused even more voltage fluctuations leading my relative to claim that he suspected some flats were using “triple boosters” now. I dont know if such a thing even exists. The end result was this competitiveness helped no one as the voltage fluctuated to such a level that no booster helped and even normal household appliances like microwaves and refrigerators and computers struggled. Now the apartment complex has a active association filled with retired busybodies like my relative who have drafted complex by-laws that rivals the Indian constitution. The voltage problem was crying for their help and they turned their attention to it. The path was clear – all people had to do was to shun the use of air conditioners till about 11PM – when the incoming voltage improved on its own. Everyone would be better off and be able to use all their appliances. So a diktat was passed down to that effect. No air conditioners from 6-11PM. How did this pan out ? It worked for a first few days. The voltage situation improved dramatically and the resulted in a net improvement in living conditions for all. But soon some realized that the voltage now was good enough turn their airconditioners on. A few did and it had no noticeable impact on overall voltage. They were ignored by the association perhaps because turning on one or two airconditioners probably didnt impact voltage much- not sure what happened. So now just a couple were enjoying the fruits of a collective effort. Slowly others too started turning their air conditioners on until the magical point was reached where the overall voltage situation was back to miserable. This was the best example I have seen of the tragedy of the commons. It actually quantifies the fruits of co-operation and its subsequent destruction. If anyone is interested you can check out the videos of Nobel Prize winner Elinor Ostrom who is the current leading expert on this issue. Also check out these links I blogged about earlier. What are the ways the apartment complex could have dealt with it ? Socially ostracize free riders ? What if they dont care about socalizing ? Have a police wing ? What are the checks against abuse by them ? Who would join this force ? How many of you know the current situation in a district a mere 100km from the national capital ? Read about how the protestors fought a pitched battle with the police. With their numbers swelling to over 5,000, the agitating jats equipped themselves with whatever they could lay their hands on — stones picked from the rail tracks, lathis, sickles and fire arms – before launching a daring attack on policemen, including men drawn from Rapid Action Force (RAF), Central Reserve Police Force (CRPF) and Haryana Armed police (HAP), to regain the lost territory. As the unruly mob charged from all sides, security forces retaliated by lobbing tear gas shells at them initially, but soon resorted to firing. In the ensuing fight a Jat youth was killed and they have kept his body in an ice box on or near the railway tracks. 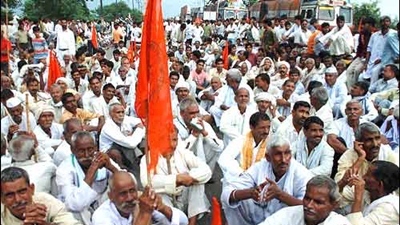 The reason for these astonishingly widespread protests is that the Jat community in Haryana want to be included in the list of OBC (Other Backward Castes). Getting included in this group not only guarantees preferred access to education and jobs but also importantly quota in local body elections. In addition, there is a plethora of other benefits on tap like access to bank loans, special scholarships in Central govt, age & physical relaxations, etc. In other words, it is a different citizenship category. More importantly once they get the desired status, they are completely immune from any further scrutiny. Over the years, I have studied this issue in depth. I know enough not to dismiss the claims of Jats outright. It is not a question of whether what they demand is fair but whether the Indian state has reasonable responses to their demand. If they can be classified as OBC then do it, if not tell them why not. Falsify their claims. We will get to the issue of falsification towards the end of this post. The Jat agitation in Haryana has turned violent again. Jats are the most powerful and prosperous caste in Haryana and have been ruling the state since its formation in November 1, 1966. The community has shown no aggressive interest to end honour killings which still plagues it. But its members block rail and road traffic and indulge in arson and violence to demand the extraordinary benefit, reservation for the backward class. This is despite the fact that Jats do not need the quota. This is a typical reaction to these kinds of protests, “plague on their house – give up protests in larger interest – you clearly dont need it”. But I congratulate India Today for atleast covering the issues behind this massive siege. The left intellectuals – who invented this fine grained scheme of equality of outcomes – are nowhere to be seen. EPW ? JNU thinktanks ? Where are you ? This social justice program is your baby – the absence of monitoring and measurement is your technique. Now looky! you are sitting in comfort while policemen and enraged youth are duking it out on the streets and railway tracks. Death and destruction. So we are told Jats are the dominant caste and have ruled Haryana since its formation. Is this supposed to nullify their demands ? Are there any rules for inclusion and continuing to be members of the OBC category or is it completely adhoc ? Why does the Jat Arakshan Samiti attract derision and but Akhilesh Yadav get fawning admiration ? The only thing that separates them is that one group has crossed the river and the other group is still trying to. The toughest questions are the most basic ones. Why cant I have what I saw you give him ? This forms the basis of the claims of Jats / Gujjars and several other communities. You cant hit the buzzer and deny benefits to Jats for being dominant landowning communities when in KA and TN dominant communities are mostly all classified as backward. So it makes sense to trace the issue back to its source : Tamilnadu. In depth analysis of the quota system in any other state is fruitless because they will simply point to Tamilnadu and ask you to read the doctrine of legitimate expectation. Claims to social justice in India are not based on falsifiable claims. What is falsifiability ? Wikipedia can help. Falsifiability or refutability of an assertion, hypothesis or theory is the logical possibility that it can be contradicted by an observation or the outcome of a physical experiment. That something is “falsifiable” does not mean it is false; rather, that if it is false, then some observation or experiment will produce a reproducible result that is in conflict with it. A group that gets special benefits must only be allowed to do so on the basis of a falsifiable claim. It doesnt mean that any group that claims to be backward is posturing or false, but rather that there must exist a test that can prove their claim to be false. This is obviously an extreme example, but brilliantly illustrates the point that some assertions are just not falsifiable and it would be foolish to invent a social justice scheme on these grounds . The beauty is once a single community is in on an unfalsifiable claim – it is open season because others have legitimate expectation to be treated similarly. Today there are all kinds of castes in the OBC list, Jats want in only because they see similarly placed communities enjoy benefits and securing a place at the negotiating table. They can be persuaded only if you can falsify their claim with relation to communities they consider similarly placed. Today the way you can correct these lists is for individuals to approach a statutory body called the NCBC with solid data and make a request for deletion of a particular caste from the list. I have argued this is an impossible task for an individual to undertake and unfair because the inclusion of these castes did not go through the same process. Public availability of utilization (representation) data would make it falsifiable atleast in the public opinion. Lets us take another example – this one is an obvious edge case but still. Q: What is the rationale for special benefits for a community that is well represented in the open category ? This question is most crucial because if there is no case to be made out for such a community that that would be the the evidence to be used for falsification. However, the Supreme Court shied away from addressing such a critical issue in 1996 Voice Consumer Care vs State of TN. In fact, the court itself observed that 80% of seats in the open category in Tamilnadu was being cornered by those in the reserved lists and that did not call for any action. In conclusion, asking the Jats to behave themselves is a bit rich now, isnt it ? UPDATE : It seems the protests have been suspended for now – but the arguments in the post remain.